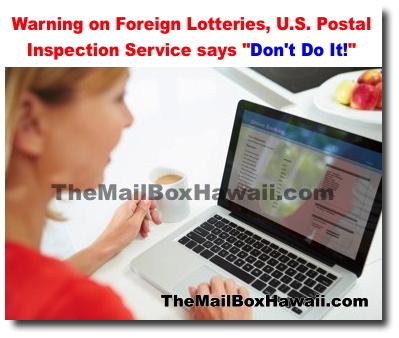 Warning on Foreign Lotteries, U.S. Postal Inspection Service says "Don't Do It!" 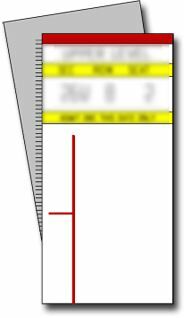 It is not only illegal to mail payments to purchase any ticket, share, or chance in a foreign lottery but also impractical. Most foreign lottery solicitations sent to U.S. addresses are not from foreign government agencies or recognized licensees. They actually come from "bootleggers" who will charge you exorbitant fees if you want to play. So stay on the safe side and don't engage!